To celebrate our industrial past, the technology and the people behind it and give new life to the totemic artifacts, true landmarks of Seattle's past, and, as a component of the Park Master Plan, to utilize one of the generator towers for the installation of a camera obscura. Information about becoming a FoGWP member is included further below. 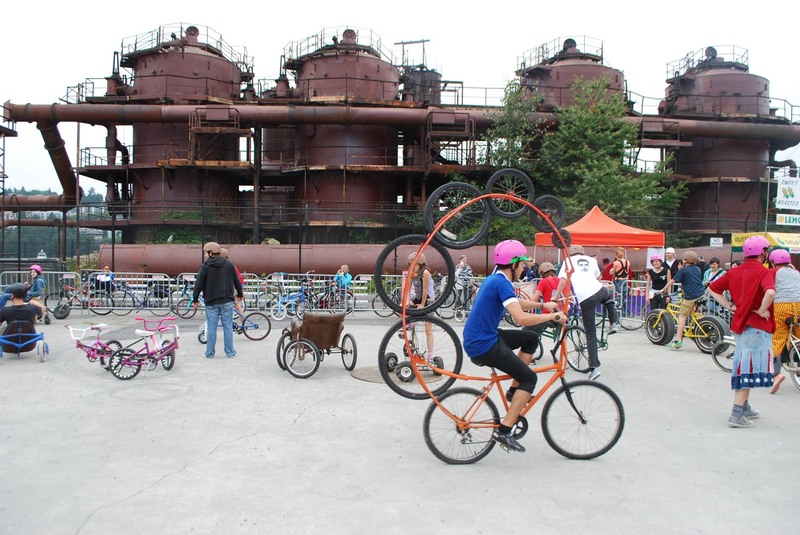 Seattle is home to one of the few industrial reclamation parks in the world. 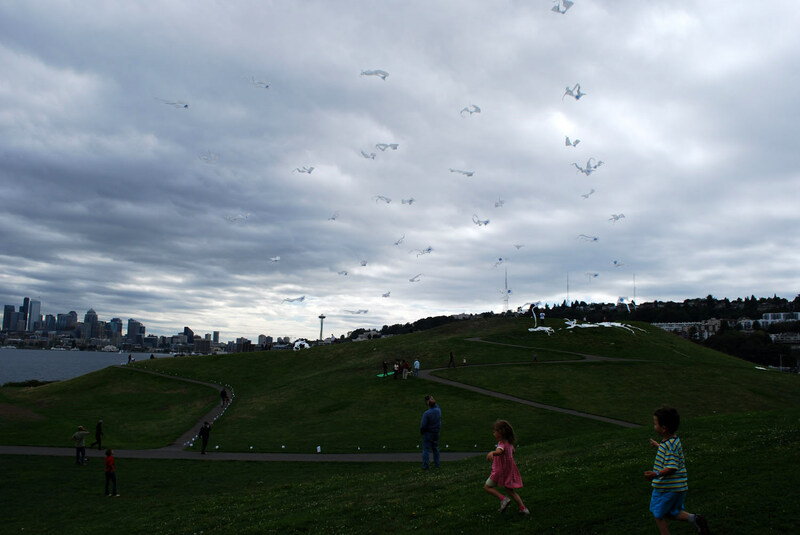 Our own Gas Works Park is the sole survivor of 1400 gasification plants in the United States alone. With an international reputation as a prototype for industrial site conversions, Gas Works Park has received worldwide recognition, won numerous design and environmental awards, and attracts visitors from around the globe each year. 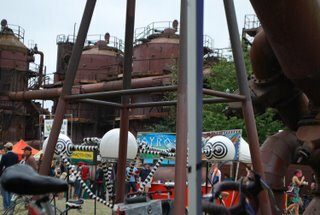 The remaining relics of the former Gas Plant serve as totemic artifacts; the last surviving members of an extinct species. They are real dinosaurs; the engineering of these structures is of a type, scale and complexity of detail which will never again be achieved. 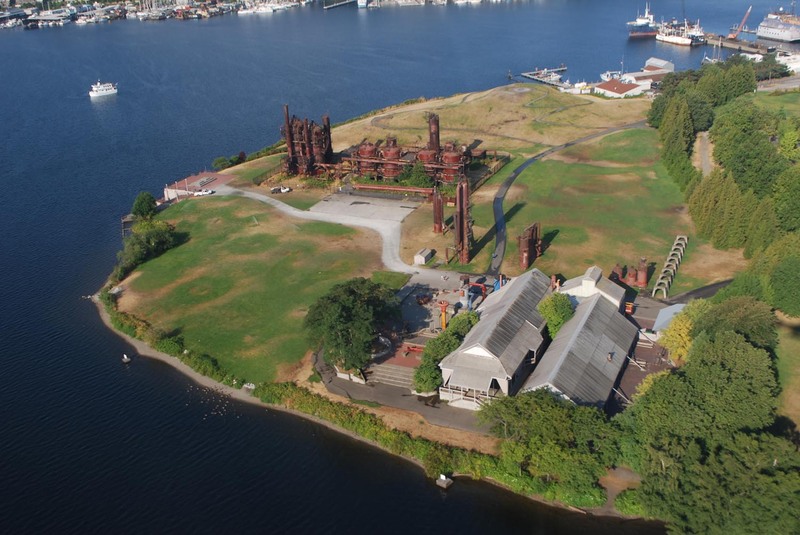 Although selected as a park site by the Olmsted Brothers in 1903, the Seattle Light Company purchased the site and built a coal-based gas producing plant in 1906. In 1937, the coal conversion plant was replaced with oil-gas generators which remain today. Production ended in 1956 with the conversion to natural gas. 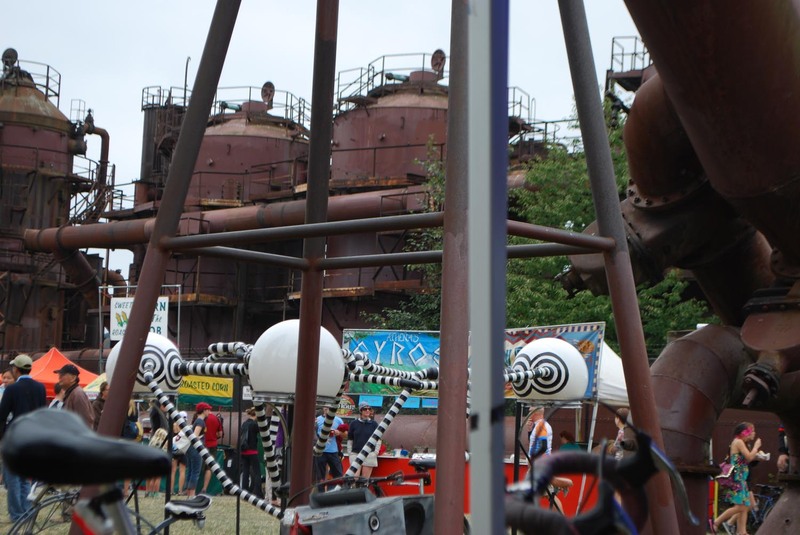 The old plant location was soon recognized as being unique and through the work of Seattle City Councilwoman, Myrtle Edwards and others, the idea of a park began. In 1962, the City started acquisition of the site from Washington Natural Gas Company. In 1972, Richard Haag Associates, completed the Park Master Plan: "The plan is purposely under-designed; it represents a strong skeleton which can evolve in rhythm and rhyme with the new directions in life and play-styles." The last phase of Park construction was completed in 1978. For the past twenty years the natural processes have been at work neutralizing the soil. 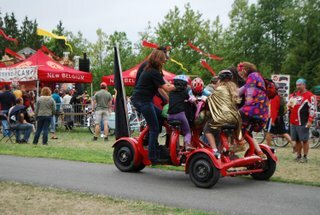 The Park is owned and operated by the City of Seattle Department of Parks and Recreation. As a Friend or Business Sponsor of the Friends of Gas Works Park, you will be supporting part of Seattle's legacy by helping to create a place of learning and discovery at Gas Works Park. Could you help as a volunteer? Do you know any former Gas Plant workers? FoGWP is a not-for-profit 501(c)(3) Washington state coporation.